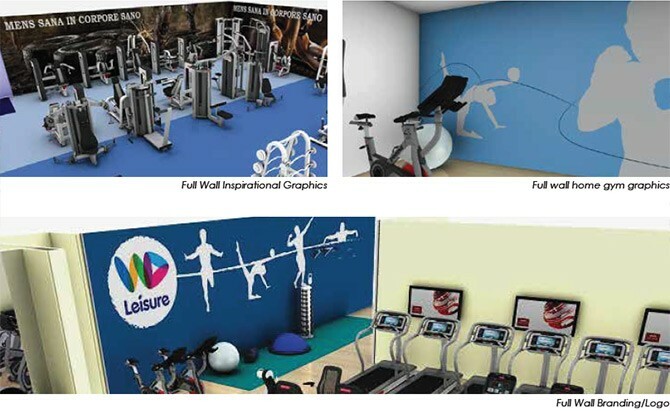 Anytime Leisure specialises in providing you with a completely bespoke design service. We initially gain a full assessment of the project requirements and, calling on the various expertise within the company, we provide an individually tailored proposal. Here at Anytime we have a wealth of experience in many different areas of fitness, which is why we are able to call upon different experts for different clients, so that you get the best service available to you. 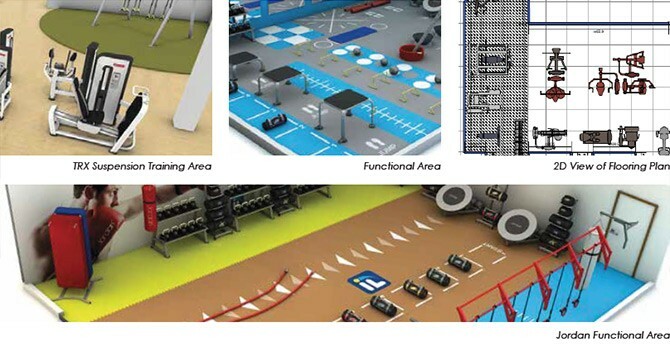 Below is comprehensive guide to what we take into consideration when designing gyms, sports halls, MMA and boxing facilities, health clubs and spas. Effective gyms will place their equipment into zones. Depending on specific customers, business goals and sectors, the balance of zones, in regards to size, shape and equipment will vary. For example, commercial gyms will focus on catering for everyone, so they will need a fine balance between the main zones - Cardio, Free Weights, Fixed Resistance and Functional/Stretch. Whereas school gym’s primary focus will be creating a safe environment for the children, therefore the zone balance will be affected to accommodate these requirements. Sequentially we will start work on the latest CAD technology to create visualisations of your ideas. This is an important stage in gym design, because it brings to light factors that you may not have taken into consideration, and allows you to revise your plans, all with little or no cost. Once the layout and equipment has been decided, we can work on the interior design and branding, should you need any.